The worst part about bubblegum? How fast the flavor fades. But now there's OG Bubba from Okami, where each hit gives you a new burst of watermelon bubblegum flavor. 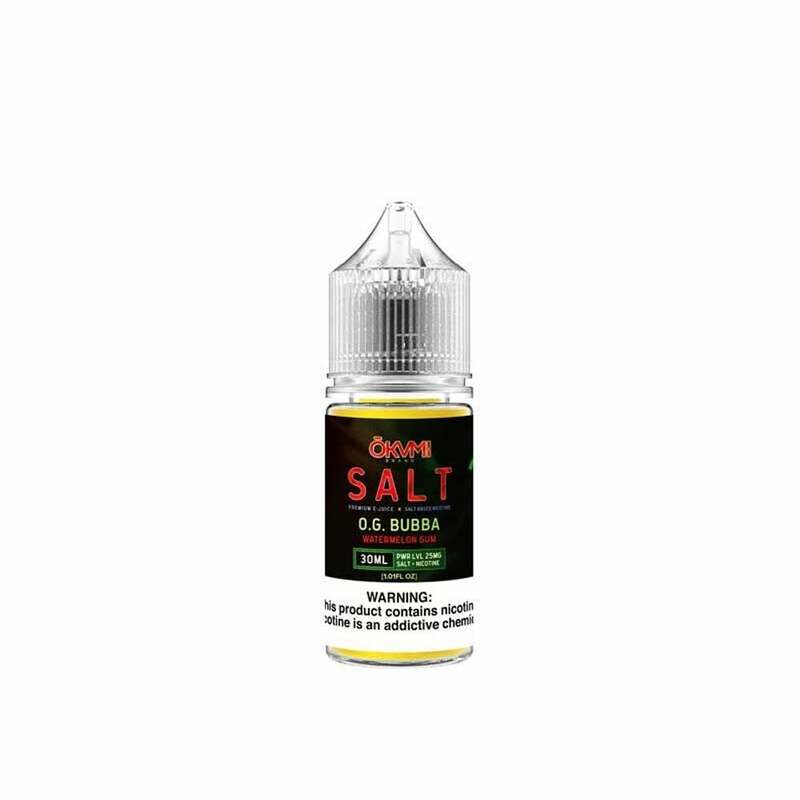 Okami's nic salt formula makes for a satisfying vaping experience while still providing you with a strong flavor. Same experience as other reviews, smells good but irritates my throat, feels like my coil is burnt right on the first hit! I've used plenty of 50mg juices and this is unusable. Juice causes irritation in my throat, I've used many 50 mg Salt so it's not that I'm not used to it. Flavor smells great, but no matter what I try, it irritates my throat. This tastes just like bubble yum strawberry watermelon gum. Very tasty. Great flavor. The best one I've found so far. I was using AQUA 50mg Pure for a couple months and wanted to try something different, but not too different. This is it... Delicious stuff. You can taste both the watermelon and the gum, but it's not over the top sweet. I am always choosing this bottle bc it tastes so good. Like a piece of bubble yum!